I used to have about a million tabs open at any one time, and I was always bouncing between tasks. I would race through my day feeling extremely busy but never completing anything. Just trying to find the right Google Drive document had me stressed out! I was on the path to burnout. In my quest to do everything all the time, I actually ended up killing my own productivity. I was constantly multitasking and moving fast. 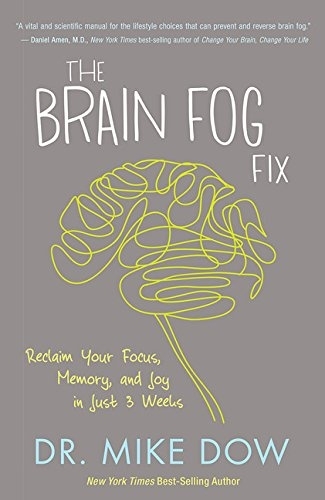 I was experiencing brain fog, I couldn’t focus and I was disoriented. It became clear I’d hit a bottom. So I said a prayer. And the Universe delivered. Watch the video below for the whole story AND the secret to being more productive while doing less! You can also keep reading below the video. The day I said my prayer, I got an email from The Dr. Oz Show asking me to come on and do a segment with the lovely doctor and author Dr. Mike Dow. I came clean. I told him how I was always doing a million things. I had a ton of tabs open and was jumping from one thing to the next all the time. He was like, “These are big brain no-no’s.” And they’re also productivity no-no’s, he said. So Mike gave me a tip that has changed EVERYTHING for me. He shared with me the secret to being more productive while doing less. The secret is to do just five things each day. Make a list of the five most important things you need to accomplish each day, in order. Then to work your way down the list, completing #1 before moving on to #2, and so on. I committed to this method right then and there. Every day I make a list of my five most important tasks. If I don’t make it through all five that day, I just pick up where I left off the next day. I told my whole team that I was making this change, and I write down my list each day, making a conscious effort to stick to it. Of course, sometimes unexpected things come up in your day, like a phone call or a problem you need to solve right away. That’s okay. If it’s urgent, take care of it. Then go back to your list. But don’t make every little thing that pops up into an emergency that completely derails your list. If you do this, your productivity will plummet and you’ll be back into 99 tabs territory. You may have heard that a minor distraction can disrupt your focus in a major way. It’s true. One study showed that it can take almost 25 minutes to get back into the zone after an interruption. That’s why committing to your list is so important! And if you do get completely taken out, you can center yourself with a short meditation or even by taking a five-minute walk. Sticking to Mike’s rule of doing just five things each day has changed the way I work. Before adopting this technique I would try to do 30 things in a day, and I’d be totally stressed out and feeling like I was constantly catching up. Now not only do I get more done, but I’m also calmer, more intuitive and creative, and my mind is clear. As a result I have raised my vibration and my attracting power is stronger than ever! This is the secret to being more productive by doing less. Use this tip to be more conscious and mindful in the way you show up for your work and your life. You might even want to start by tracking how many things you are trying to accomplish today. This can be a major eye-opener in and of itself! You can adapt it for your workflow, too. For example, maybe it’s important that you stay on top of your inbox throughout the day. Instead of letting every new email distract you from your list, you can set aside chunks of time during the day to dedicate 100% to email. Set a timer for 15 minutes, answer the urgent emails and when the timer beeps, go back to your list. If you have the opposite problem from me and have a hard time motivating yourself to get more than a couple of things done each day, use your list of five things to keep you focused and energized. The sense of satisfaction you will feel when you complete one thing will give you a newfound momentum and enthusiasm! Gonna start this TODAY! I reckon this is gonna be a game changer, thanks Gabby! This is so simple and great!! Thank you. I’m in the middle of Judgement Detox. Thank you! Thanks Gabby, I had been wondering why i felt i was getting anywhere with my work.Now i totaly understand.Thanks for the tips. I ‘ll be implementing this from now on. Definitely try it! Purple Carrot and Sakara Life are both vegan and HelloFresh has a veg option if you’re looking for meal kits! Sat Nam.. thank you Universe, message arrived at the right time! I use it for work-related tasks. You can definitely create another list for non-work tasks! Thank you Gabby! I’m getting ready to launch my first online yoga course and I’ve been all over the place trying to do 50 things all at once. This was the reminder I needed to be practical and focused. Lots of love to you! Exactly what I needed today. I started my own graphic deisgn business in May and have recently realized I am only earning half the amount I want to, but feel like I am booked solid and am turning down work (super grateful). My rate should allow me to earn 6 figs if I really was booked all the time. That is not the reality, so where is my time going? I was thinking this weekend that I need to sleep less or something. haha. I am going to try this out and see if this makes a difference for me. Thank you Gabby! This is exactly the message I needed on a Monday morning when I’m thinking about my todo list and trying to figure out how to get it all done. Thank you so much! This is EXACTLY what I need to hear today. I plan to implement this for one week to see what an impact it will make for me. Blessings! Such a powerful teaching. Thank you. Thank you for this, Gabby! 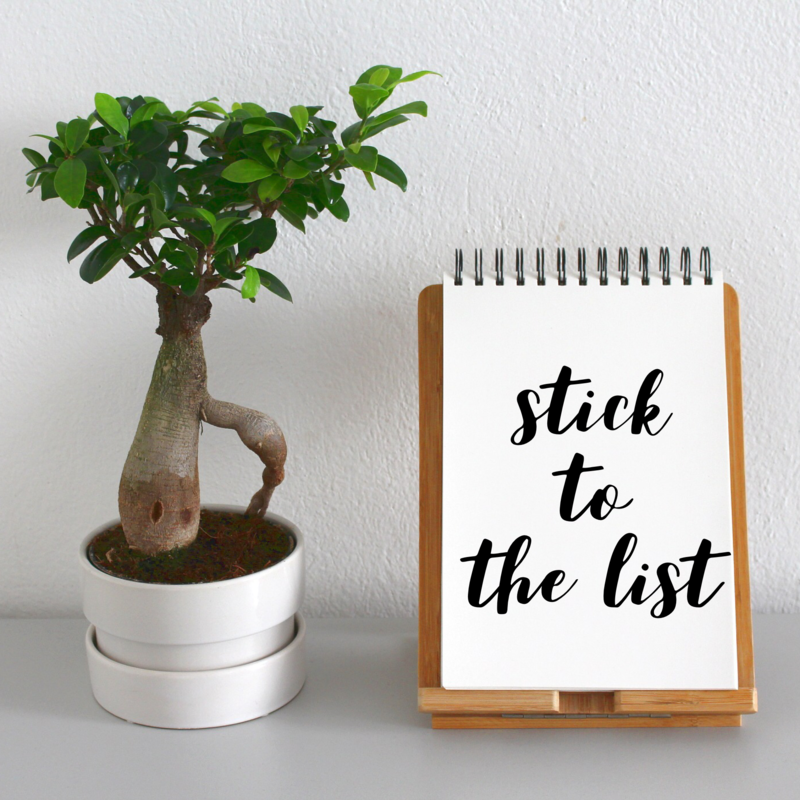 Back in August, I wrote a blog post about “Doing less… and gaining more?” – talking about how I’m rethinking my “robust” to do lists in my family life, my professional life (running my philanthropy consulting practice), and my work with my nonprofit clients (helping them raise more money). It can be scary to think about NOT running around like a chicken with your head cut off, but I think it’s ultimately more productive! Full circle moment: I wrote about YOU in that blog post! (https://pitchconsulting.com/doing-less-and-gaining-more/) Thanks for inspiring me again and again, Gabby. Here’s to doing less and gaining more! Thanks Gabby! This makes so much sense. Hi, Gabby! This advice comes in handy right before I dive into B-school. I feel that being a mom and sometimes not being a master of my time (as I depend on little one’s naps and periods of not feeling so well) adds up to anxiety A LOT. I will try to stick to your plan. And I am starting from… clearing up my space and my computer. And setting my priorities straight. Thank you Gabby, this is exactly what i need to hear.. tha last week I had a lot of episodies of brain fog.. and I was really worry about, but with this article its made me realize what the problem is. Loves and blessings to you! Yay! So happy this is resonating. Great timing in my life for you to share this concept of “5 Things”. Sometimes it’s the simple cures in life that take us the furthest. Thank-you! Love it!!! As I was listening, I started reading something else and consciously stopped myself This is exactly what I need rightnow. I was talking about this exact issue with my partner last night. Of course your email arrived this morning…. What would you recommend to a new entrepreneur who still has a day job? 9-5 I’m an executive assistant and outside of that time I’m working to create focused guided meditation packages for different types of students/needs. My gut says “5 tasks at day job, take a breather, eat dinner, 3 tasks for meditation business”, so maybe that’s the answer I need, but am always interested in your view as well!! I like this advice. I am wondering how to honor those inspired impulses while sticking to a list. It seems with my personality if I locked myself into a list I might miss out on opportunities to follow an impulse that might open a door to me. Any thoughts on that? After seeing your stories over the weekend, I took this practice into my Sunday chores. Normally I would push through one task after another, feeling depleted and not very rested for the week ahead. Instead of pushing through, I did one task at a time and took breaks in between. I even asked my husband to help me with some tasks. This lead to us spending more time together and me feeling more rested, yet accomplished. Felt so great. Anytime I start to feel overwhelmed now, I pause, take a deep breath, and remind myself to slow down. Wow. Still amazed about how fast the Universe responses… I woke up this morning praying and setting the intention to be more productive and grounded, and to stop procrastinating. Then I received your post on my mailbox On point. Just what i needed. Thank you Gabby, and Waheguru. Thank you, Gabby! I really needed to hear this today! I was on a Zoom call with a client and my computer crashed. I had so much open and was multitasking that my computer (or the universe) gave me a swift kick and told me to stop doing so many things at once. So this was so fitting to read. (Right hand raised) I will only have 3 tabs open at once and work on one thing at a time until completion. Thank you for teaching me to be more productive while doing less! Soooooo I’m taking an educated guess that one of the five things in a day can’t be “write a book” or “start a business.” Breaking tasks down into manageable chunks is ALWAYS an issue. I needed this advice more than ever….I am starting this today! Thank you. This is super helpful! I have felt scattered today and this helped me focus. Wondering if you have a master list of things you work from to create the 5 things to do today list. I have a few projects I am working on and just need to get through the tasks in an orderly way each day. Would love to hear if it’s a good idea to plot out there bigger projects first and then create daily task lists. Thanks! thanks for the tip, very helpful. However, I do have a question: what if you have tasks that take way longer than a day, do you split them up? If so, how do you decide to split them up? Thanks so much! 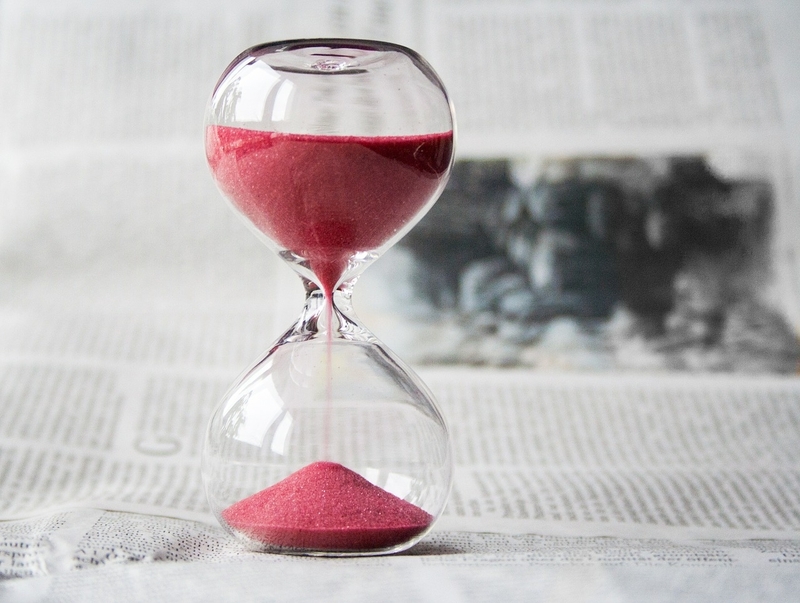 You can block out X amount of time to work on a longer-term project. Maybe you decide you should spend 2 hours on it per day to complete it on time. Or maybe you want to get to a certain point in it each day. That takes a bit of planning but is very much worth it! Thank you, yes, I believe it. so it is still better to have 5 things on your list instead of just one or two longer ones correct? I love that you posted this today Gabby! Just last night I was feeling a bit overwhelmed and burned out and I said to myself, tomorrow just focus on THREE things. I wrote them down. It’s 1:40pm and they are now all done and I’m planning tomorrows 🙂 It’s so simple and yet I often get so wrapped up in my stuff that I forget! Good timing for me as I was feeling excatly as you said- hoping to accomplish it all on my alotted time with books papers tabs all open until I have to put it all away half way done! Like the 5 things to do list- Will try it out!! Great idea! I feel like this so often and your blog came at exactly the right time. I definitely will start doing this. Thanks!! Thank you so much for sharing this simple and effective practice. I try to “superwomen” myself through the day and actually thrive on being overly productive but by the end of the day my brain is spent. I am looking forward to trying this practice out this week and see how it transforms my days. A friend and I were just talking about this topic a couple days ago – SYNCHRONICITY! Anyway, we were talking about MICRO GOALS which might also be great to incorporate with this ‘5 things’ strategy. I always tell my kids that when they are overwhelmed by tasks, to ‘just do one thing’ and focus on that, instead of focusing on everything. It’s too much for our brains to handle. Q: How do you eat an elephant?? This video cane at a great time .i need not be overwhelmed and make a list . Gabby, I love this reminder! I have a habit of making my to do list so long, it can be overwhelming and I never really seemed to get to the bottom of it each day. This creates a ton of judgment and self-criticism and the feeling of failure. They are all things I wanted to see done but they are not all a priority. Thank you! This is exactly what I needed to hear today! Thank you. Needed this, however, the problem i have is which list are we talking about? Work, self care, family/kids, home, etc. Is this 5 things list just for “work work” or all the other “work”?!? Thanks for your beautiful message as it was perfect timing as overwhelm myself with 20 to 30 tasks a day. Being more productive by doing less is such an eye-opener to salvage my life. I will implement this procedure starting the day, and for the rest of the time, I am here on this earth. Be well and thanks again. Thank you for sharing this practice, Gabby! You are someone that I admire and looked up to as a model of making LOTS of good things happen and it’s refreshing to hear that you too, are slowing down. We live in a culture where everything is so fast and rushed and I prefer this message for my well being and happiness. Thank you!! OMG!!! I will start doing this right now!! It’s been a crazy couple of month for me, trying to solve hundreds of things at work! I feel like an octopus some times! Thank you Gabby for the tip! I feel like I have my tasks at work and in my personal life that I need to get through. Would you say to have 5 for each or how do you balance both since you are working 8 hours a day? Find what works for you. This is a tool I use with work-related tasks but you can create 2 separate lists or combine them into 1. Try a couple of different ways and see what keeps you focused and feeling good! I’ve been reading and listening to your lesson about “Less is More”. I am a medical student, I study about 10 hours a day, 7 days a week. I really give it my all, but I don’t end up getting the results I should considering my efforts. I need some guidance about what to do next. I feel like I already do everything I should to have good grades and succeed in what I do. Nevertheless, I feel stuck. Thank you for answering my prayer today! I’ve just experienced a few months of feeling uninspired , stressed, and trying to do everything, but achieving nothing… Got this anxiety attack this morning and I decided to find that email from you that I recalled have seen a few days ago. I used to practice something similar to this, but I’ve fallen back in old patterns and behaviour. Thank you for reminding me and reassuring that this is the way to go! I just recently launched my Health Coaching business, and I’m working on finding my niche. In the meantime, it is too easy to get wrapped up in doing 100 things at once, but not really doing anything at all lol. You know what I mean? My mind pulls me in all different directions, but the key is exactly what you’ve just said…focusing on 5 solid actionable items each day. I’m excited to put this into action and let go of that frazzled “busy” way of working. So thank you!! Thanks Gabby! I own supportive housing for severely mentally ill men and women in recovery. I get a million phone calls and emails a day from clients and programs that I get sidetracked so easily from my actual tasks, plus I am launching a new informational website and a new sober living home. This will definitely help me prioritize things and close some tabs on my computer! Also your recovery journey was pivotal in how I run my sober homes! Thank you for sharing! I am so happy and honored to learn that these stories and resources have helped you. Thank you for doing such beautiful and important work. You are a lightworker. I know this will serve you! I feel calmer just listening to your suggestion! Just wrote out my five things for today and I’m ready to start. Thanks Gabby for bringing light into the world. I love this idea! Anyone know of an app that would let me “pull forward” only 5 of my “to-do’s” each day (keep an entire list, but pull forward only those I need to focus on today?) I like to keep a running list of what I want to tackle, but like the idea of getting so much accomplished each day. My team uses Asana, where you can assign each task a due date (you can change it), which could be helpful! Gabby! This is brilliant! I am a single mother of two teenagers as well as an independent yoga instructor and marketing consultant. I read The “Universe has your Back” and started trusting God to bring into my life that which is mine and the means to sustain myself financially. I’m so grateful for the abundance of fulfilling work that has come my way. BUT… with this abundance I have been spinning my wheels and not doing my best work in any area of my life. I am thrilled to begin implementing this method TODAY. I am already feeling mental and emotional peace, like someone just tossed me a life preserver. THANK YOU! The Universe is SO incredible. I have been so overwhelmed lately from feeling like I have too many things to do.. to the point where I have been having trouble sleeping. My mind just won’t shut off. I have a todo list thats multiple pages long which leads to me going in circles each day and not hardly getting anything done. I opened up an email this morning from a completely unrelated source and its title was “the magic 6” and it said the same thing!! To pick 6 things each day. NO MORE and just focus on those, one at a time. Then, a few hours later I read this. It brings me so much relief to think about how productive I can be by focusing on just 5 things each day! Thank you Gabby! I thought I was the only one with all those browser tabs! Thank you Gabbie. So simple. -will write down my list in PM for next day. So this sound great and all but often an item on my list that is a must get done, has several smaller tasks that have to be taken care of in order to cross that one thing off of my list. I’m drowning ..
Oh I’m so in the mode of doing 100 things at a time all day long. I’m going to get on the 5 things a day list Gabby. Thanks for the tip! I really need to try this! I know I try to fit too many things in to the day and often feel disappointed or frustrated if I don’t get things done or if things aren’t finished. do one thing at a time and try to do it well. focus and clarity clear space for success. I gonna try this – today! Maybe should reading the book. Very excited to start this. I think my other problem is that I argue with myself about the scope of what ONE item is. For example there’s a difference between watch one Gabby video and find material for my demo. If you have any thoughts I’d love to hear! Awesome Alex! Always go with your gut. Make that list of 5 things and get into a groove. If it turns out that your 5 things are really 10, tweak it until you feel in your flow.